Many mobile document scanners need a PC to work, but the IRIScan Book 3 Executive is different. It is a thin, light weight scanner that takes its power from four AAA batteries and scans directly to a micro SD card a 2GB card is included. 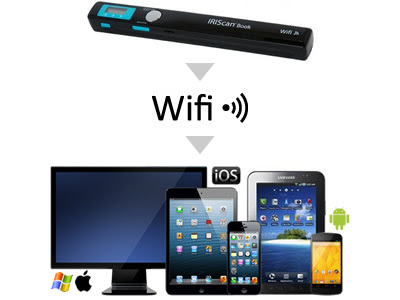 Scans can be transferred to a PC using the memory card, a USB connection or the IRIScan Book 3 Executive’s built-in WiFi adaptor. The built-in WiFi is also a convenient way to send scanned documents to smartphones and tablets via the free Android and iOS apps (www.snipca.com/9571 and 9572 respectively). The scanner does not have a wireless pass-through mode though, so your mobile device can not be connected to the internet and scanner simultaneously it must be one or the other. Once connected the app lets you download and view scans, open them in another app, or email them. 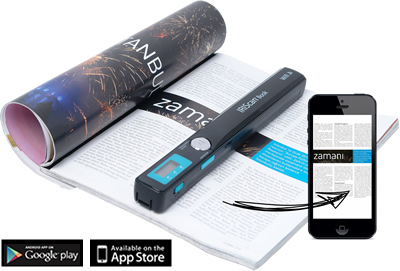 You can save scans as PDF or Jpeg files and crop or scribble on them using your finger. All this makes scanning and sharing document is easy if you are away from home and do not have a laptop to hand. It also means you can cut down on the amount of kit you need to carry around with you. You can also connect to the Book 3 Executive through a web browser, which is handy if you are using it with your laptop. The web interface lets you download or delete scans. The IRIScan may be small but it is sturdy. However, we did not like its rattling WiFi switch and dim status lights. There are buttons that let you toggle between 300, 600 and 900 dpi scan resolutions and switch between colour and black-and-white scans, while a third button starts and stops the scan. 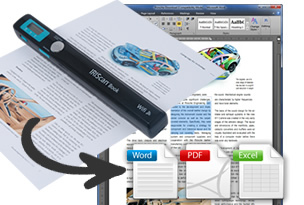 Unlike most other document scanners, the Book 3 Executive does not have a tray into which you feed documents. Instead, you have to move the entire scanner across a stationary document. While this can be cumbersome, it does let you scan bulky originals that would defeat a typical sheet-fed scanner. It took a few attempts for us to get the movement speed right for the different resolutions and formats, but most A4 scans took less than 10 seconds. Going too fast or losing contact with the page generates an error, which means you will have to start again. The supplied Direct Mode software lets you scan to a PC via a USB connection. It is very basic, with options for colour and horizontal/vertical scan orientation. Scans are transferred to your PC’s clipboard, so they can be pasted and saved in graphics software such as Microsoft Paint. While not great, the image quality is fine for archiving document s and for optical character recognition (OCR) with the supplied Read iris Pro 14 software. It is a useful program which, bought seperately, costs £65. It performed well in our test, only failing to recognise a few words in a paragraph of small print. We tried getting the same OCR results by shooting a document with our Nexus 4 phone’s camera and then feeding it through the program, but this was less accurate and the character-recognition process much slower. You can also set scanned documents to be uploaded automatically to online storage services such as Dropbox or Evernote. Although the IRIScan Book 3 Executive’s design makes it ill-suited for scanning lot s of documents consecutively, it is still a useful device. Its diminutive size and built-in WiFi makes scanning while out and about much easier. 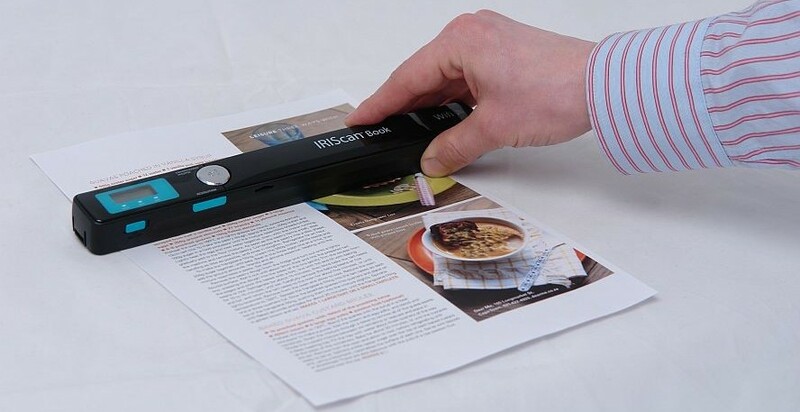 If you need a highly portable scanner that you can use with your tablet or smartphone,then the IRIScan Book 3 Executive is for you.